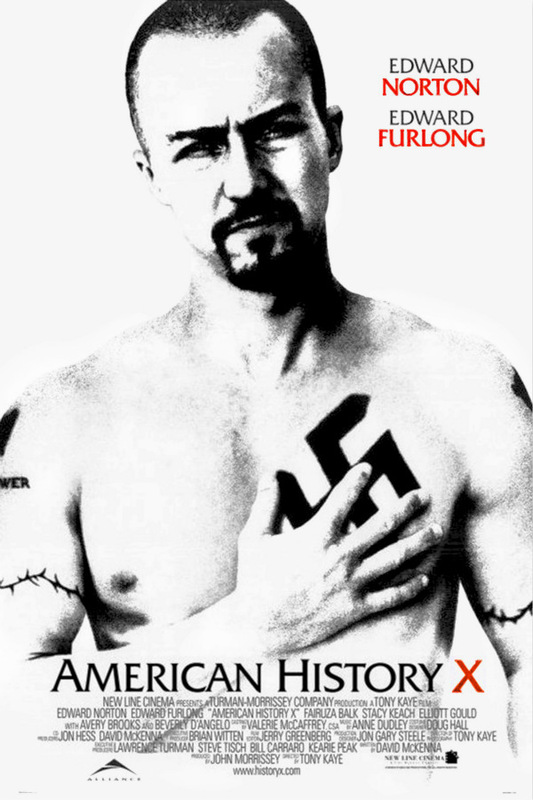 American History X is a 1998 American crime drama film telling the story of two brothers who become involved in the neo-Nazi movement. The film stars Edward Norton, who earned an Academy Award nomination for Best Actor for his performance in the film. The font used for the film title in the poster is very similar to Friz Quadrata, a glyphic serif typeface designed by Ernst Friz and Victor Caruso. The first weight of the typeface was created by Ernst Friz and made its first international appearance with the design release of Visual Graphics Corporations. You can view more details about the typeface here. In addition to American History X, Friz Quadrata typeface is also used in the following logos, movie posters or album covers etc., including: Tarzan, DFDS Seaways, Gun, Westin, Fujitsu, Honey, Paladins (video game), Memoirs of An Imperfect Angel, Opera Sauvage, Shakespeare in Love, Taco del Mar, Pierce the Veil, Law & Order, Moncler Logo, League of Legends.